Continuing my fascination with all things Antarctic, here are more photographs from the Scott and Shackleton expeditions. 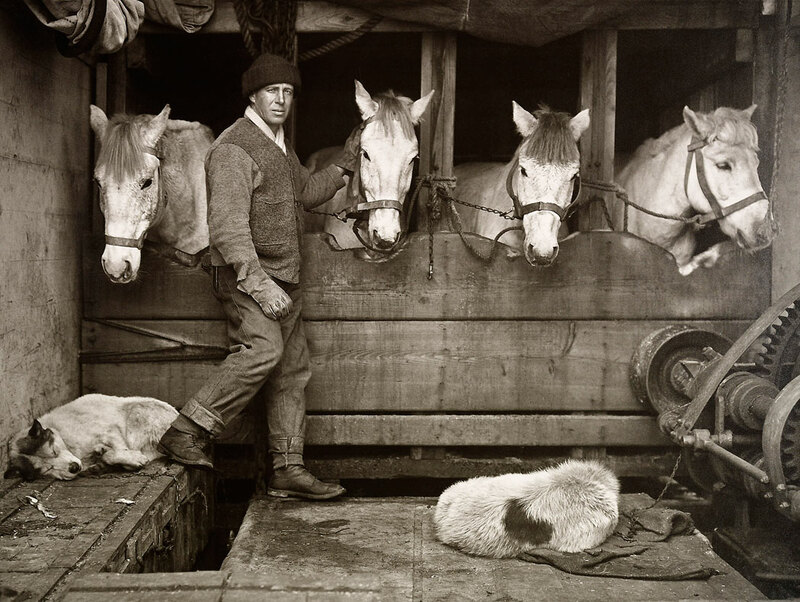 The photograph Captain Lawrence Oates and Siberian ponies on board ‘Terra Nova’ by Herbert Ponting (1910, see below) is simply breathtaking. Many thankx to The Royal Collection for allowing me to publish the photographs in the posting. Please click on the photographs for a larger version of the image. This photograph was actually taken at the time of the ‘James Caird’s’ departure on 24 April. Hurley has altered it to represent the moment of rescue, with the arrival of Shackleton on the ‘Yelcho’. The actual rescue was not photographed. It turns out to be highly instructive seeing Hurley and Ponting hung in neighbouring rooms. I’ve always taken Ponting to be somehow the lesser snapper. 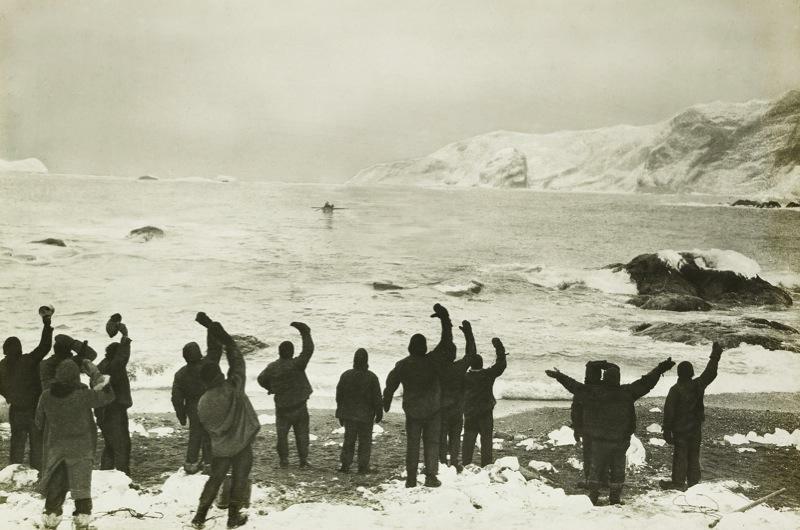 Hurley had the greatest photostory ever captured land in his lap when Shackleton’s ship the Endurance was trapped in ice floes and held fast for months before pressure ridges eventually crushed it like a dry autumn leaf. Like a good journalist Hurley recorded these traumas and more while also taking the chance to experiment with the strange light and baroque shapes supplied by his surroundings. Ponting’s story was different. Four or so years earlier, and on the other side of the Antarctic land mass, he didn’t stray far from the expedition base, and indeed was left on the Terra Nova while Scott’s polar party were still out on the ice, trudging balefully towards immortality. There’s something about Ponting’s floridly unmodern moustache which sets him apart from the clean-shaven younger men in either expedition, as if he never quite left the studio behind. But the photographs are astonishing… The story here is the unequal battle between man and ice, the castellations and ramparts of bergs dwarfing explorers with dogs and sledges placed at their foot to give a sense of scale. Ponting also has a beautiful eye for filigree detail, never more than in one picture of long spindly icicles echoing the adjacent rigging of the Terra Nova. Rees, Jasper. 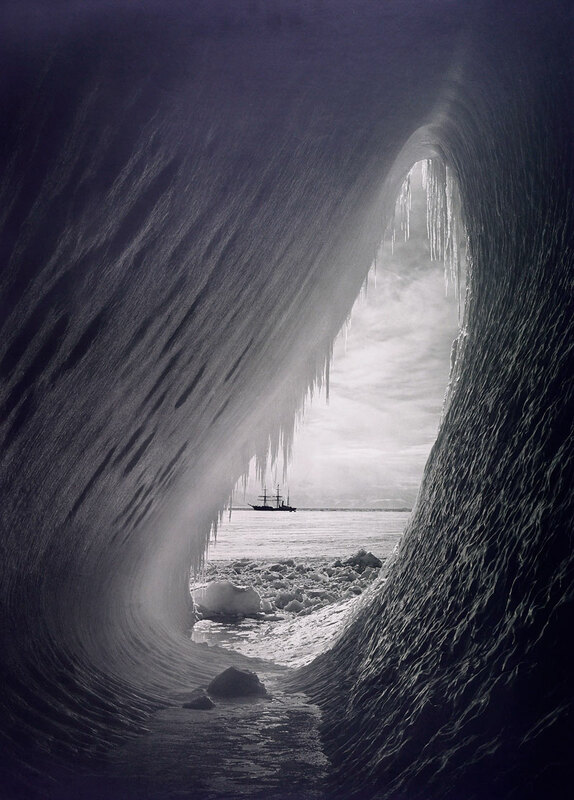 Review of “The Heart of the Great Alone: Scott, Shackleton and Antarctic Photography, Queen’s Gallery” on the Arts Desk website. Thursday, 27 October 2011 [Online] Cited 06/04/2012. Mount Erebus, an active volcano on Ross Island which last erupted in 2008, was first climbed in 1908 by members of Shackleton’s Nimrod expedition. Ponting has contrasted the overwhelming size of the natural world against the tiny human figure pulling a sledge, in the lower left corner of the photograph. “It is a story of heroism and bravery, and ultimately of tragedy, that has mesmerised generations. One hundred years on from their epic voyages to the very limits of the Earth, and of man’s endurance, the legends of Scott and Shackleton live on. To mark the centenary of Captain Robert Falcon Scott’s expedition to the South Pole, the Royal Collection brings together, for the first time, a collection of the photographs presented to King George V by the official photographers from Scott’s Terra Nova expedition of 1910-13 and Shackleton’s expedition on Endurance in 1914-16, and unique artefacts, such as the flag given to Scott by Queen Alexandra (widow of King Edward VII) and taken to the Pole. 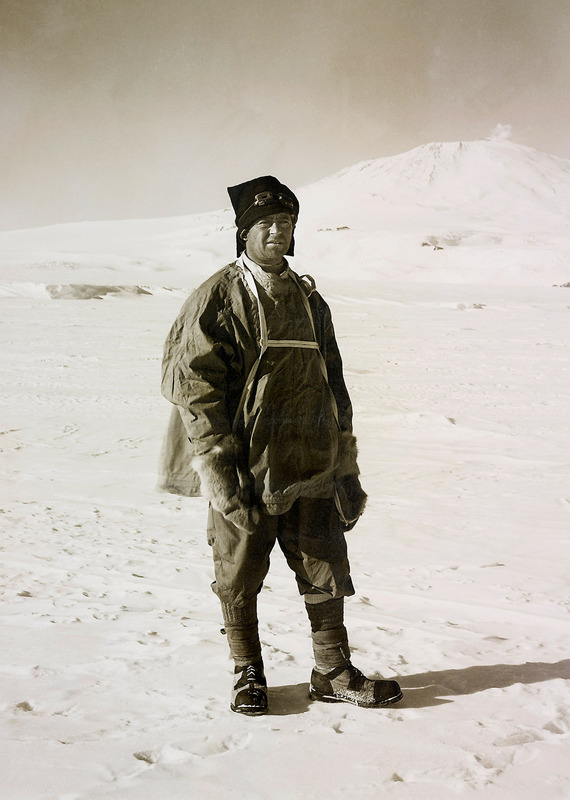 The exhibition documents the dramatic landscapes and harsh conditions the men experienced, through the work of expedition photographers Herbert Ponting and Frank Hurley. These sets of photographs are among the finest examples of the artists’ work in existence – and the men who took them play a vital part in the explorers’ stories. 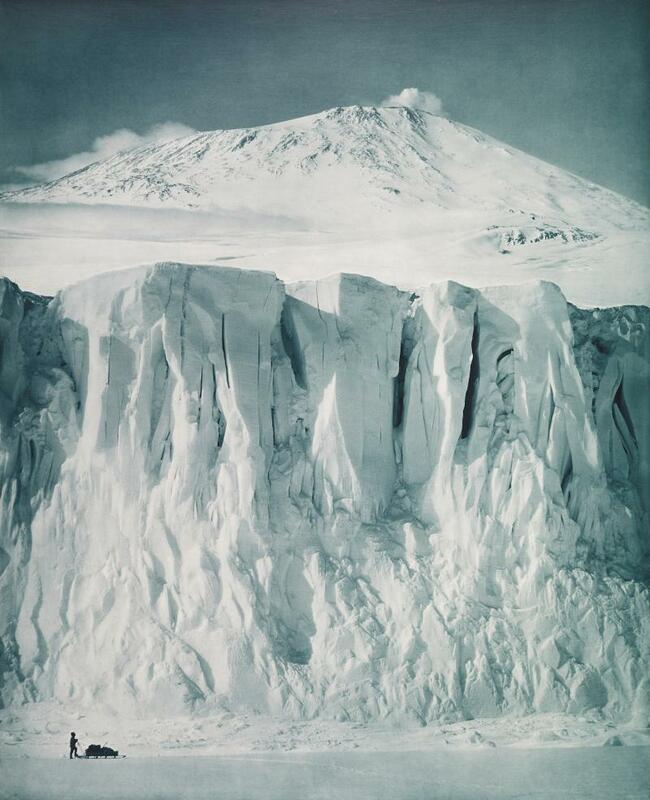 Highlights from Scott’s voyage include Ponting’s The ramparts of Mount Erebus, which presents the vast scale of the icescape, and the ethereal The freezing of the sea. Among the most arresting images from Hurley’s work on Shackleton’s expedition are those of the ship Endurance listing in the frozen depths and then crushed between floes. 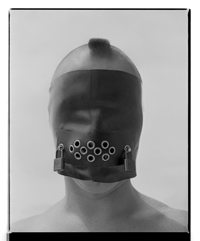 The photographs also give insights into the men themselves. For instance, at the start of the journey Scott appears confident and relaxed, with his goggles off for the camera. In contrast, a photograph taken at the Pole shows him and his team devastated and unsmiling, knowing they had been beaten. The exhibition also records the lighter moments of expedition life, essential for teams cut off from the outside world for years at a time. 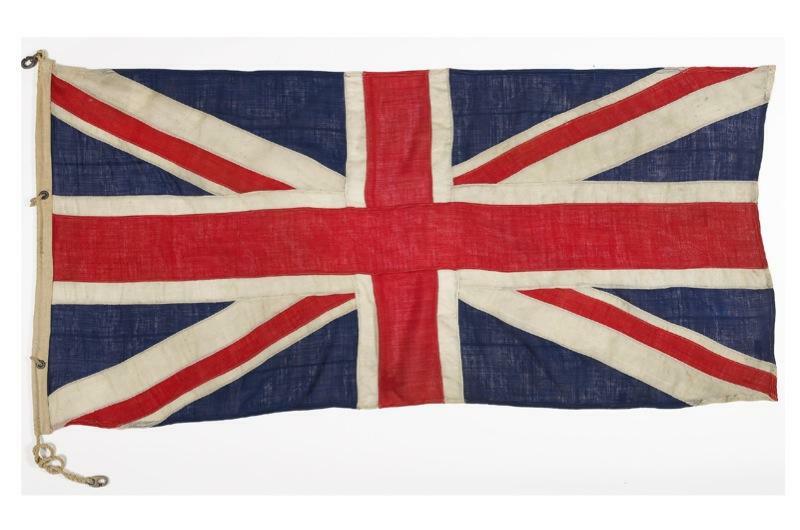 On Shackleton’s expedition, a derby for the dogs was organised – with bets laid in cigarettes and chocolate. A menu for Midwinter’s Day, on 22 June 1911, shown in the accompanying exhibition publication, includes roast beef and Yorkshire pudding, ‘caviare Antarctic’ and crystallised fruits.